Skid steer tires are not measured the same as a typical, everyday tire you’ll find on a car or truck. Skid steer tires, both inflated and solid, come in sizes such as 31×10-20, meaning the tire diameter is 31”, the tire width is 10”, and the rim diameter is 20”. 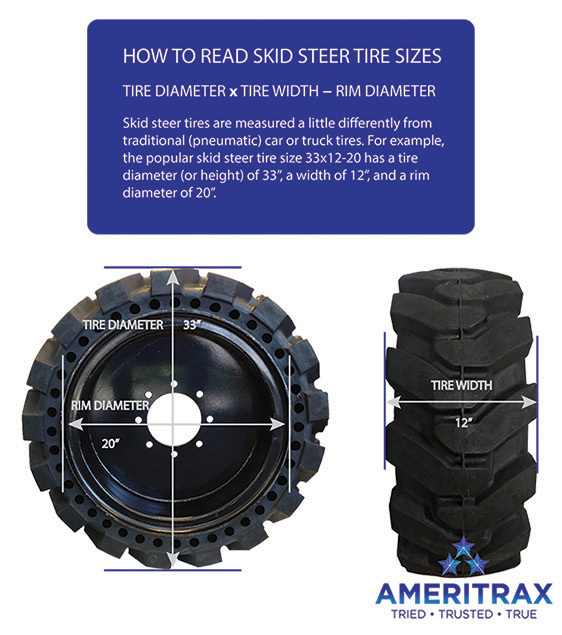 Ameritrax solid skid steer tires are available in both traction and smooth tread.